Prepare for activity by creating sensory bin. 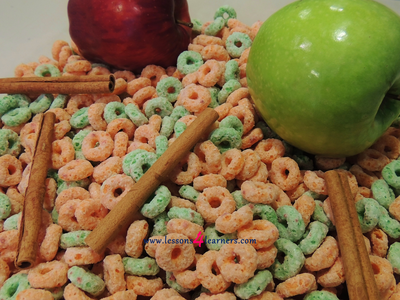 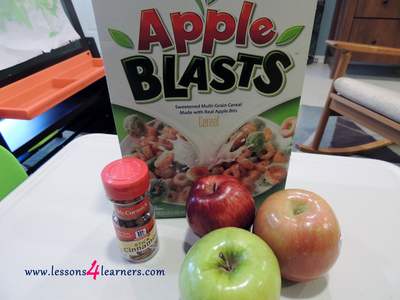 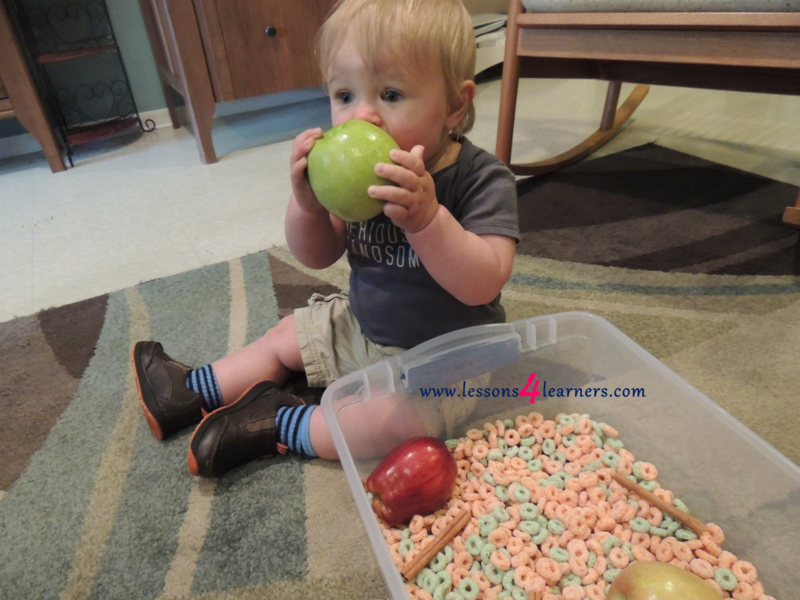 Fill the sensory table with the cereal, cinnamon sticks, and apples. Present the bin to the child in an appropriate area. 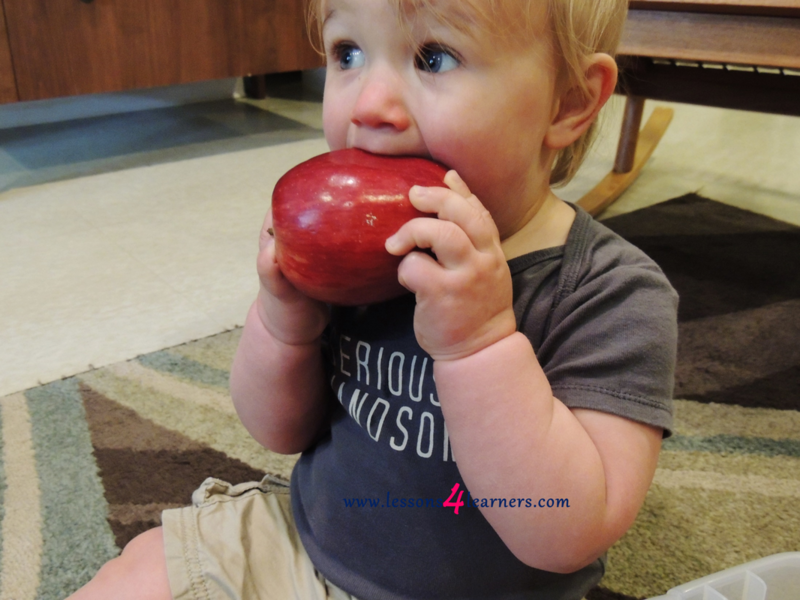 **Be sure to monitor child to prevent choking**. 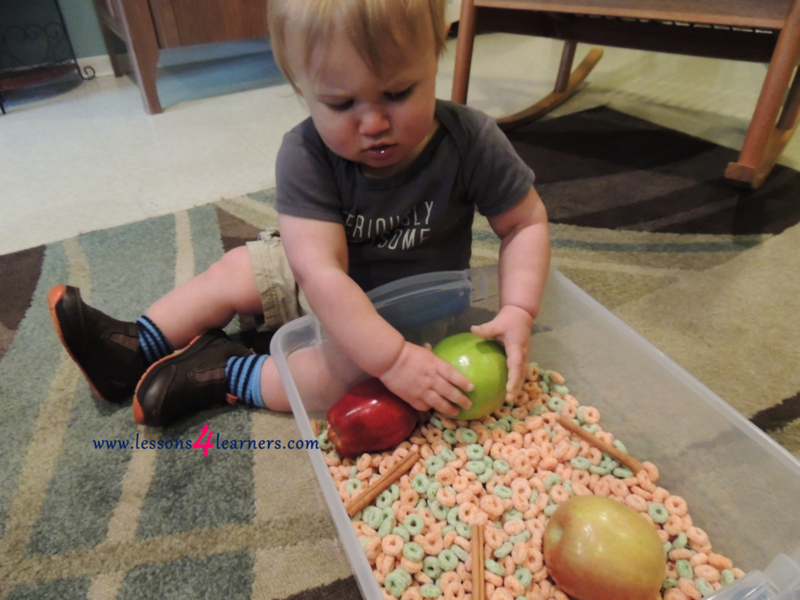 Talk with the infant as they are playing. This is the perfect time to introduce new vocabulary words, model correct grammar, and practice conversation skills. 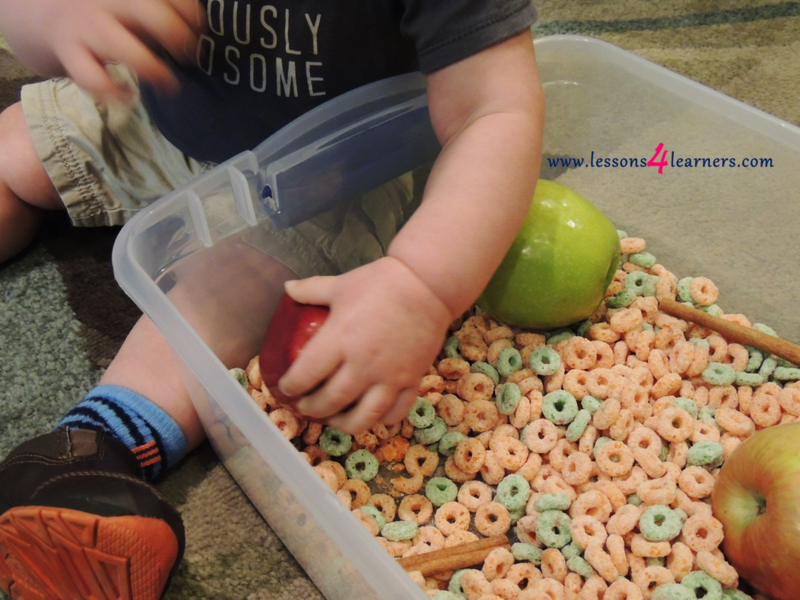 Observe and record how the child reacts to the different textures and smells.